Fr. Gabriel Gillen, O.P., was ordained to the priesthood in 2000 after earning degrees from the Pontifical University of St. Thomas Aquinas, commonly known as the Angelicum, in Rome. Prior to answering the call to priesthood he worked several years as a stock broker on Wall Street. 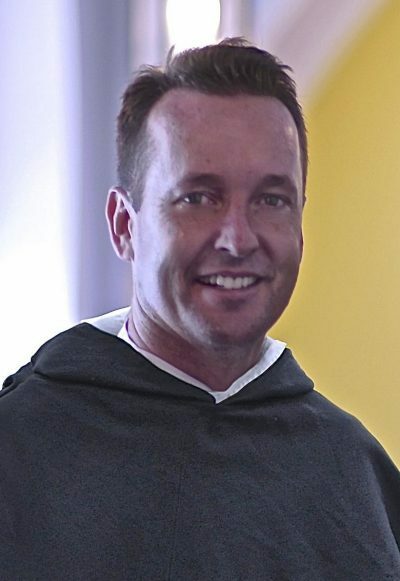 Father Gillen currently serves as the Executive Director of the Dominican Friars Foundation as well as the Director of the Rosary Shrine of Saint Jude in Washington, DC, where he works to raise resources for the work of the Friars and provides for the spiritual needs of the benefactors of the Shrine. He also serves to promote evangelization through Blackfriars Media, and was former host of the weekly program “Word to Life” on The Catholic Channel (Sirius XM 129).